If ever there was a time where evil defeats good, it would be during the Wild Wild West: The Great Train Heist. Join 4 notorious villains as they aim to pull off the greatest heist of all times. You’ll be rewarded generously through various action filled features. Take the reins and lead the pack for an adventure that will be written down in history. Wild Wild West: The Great Train Heist is a 5 reels, 3 rows and 10 bet lines video slot powered by NetENT. The slot follows the journey of 4 villains and you are their fearless leader. If you were always the bad guy during a game of Cops and Robbers, your skills will certainly pay off. The slot is playable on all devices from desktop to mobile and tablets. This medium variance slot can be played from as little as 0.1 per spin to a maximum of 100 per spin. The coin values vary and goes as low as 0.01 to a solid 1 per line. It’s the perfect slot for players of all budget sizes and expertise levels. 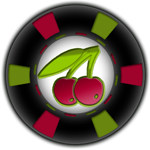 Each spin has a winning possibility of up to 500 times your stake. 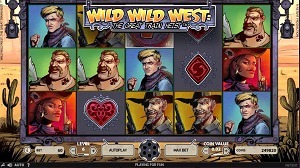 The Wild Wild West: The Great Train Heist Video Slot comes loaded with action filled features. The big purple wild symbols alone can provide wins of up to 50 times your stake if you manage to get 5 on a bet line. The wild also substitutes for all other symbols apart from the bonus symbols. When 3 or more safe bonus symbols land on reels 1, 3 and 5 simultaneously it will activate the Pick and Click feature. You will then be expected to click one of the bonus symbols to reveal a cash prize. The cash prizes vary and can be anything between 5 and 50 times your stake. It’s a simple feature but very rewarding if triggered frequently. The main attraction is the Free Spins feature that gets triggered by 3 or more scatter symbols anywhere on the reels. The more scatters on the reels the bigger amount of free spins you’ll receive. 3 scatters gets you 10 free spins and 4 get you 20 free spins. If you manage to land 5 scatters you’ll score 30 free spins. 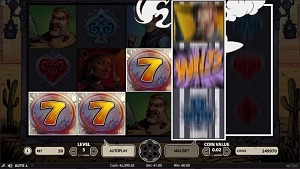 During the free spins feature there are 4 wild features that can appear anywhere on the reels. These features are known as the Regular Wild, Expanding Wild, x2 Multiplier Wild and Spreading Wild. It’s quite fitting seeing as this is the Wild Wild West. Before the Free Spins start the Wild Selector Wheel will spin. Once you press stop the Wheel will randomly land on one of the four wild features which will activate it for the free spins. 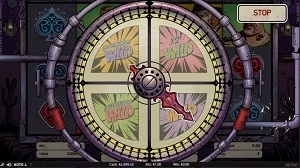 In the Free Spins feature an overlay wild symbol will randomly appear on reels 1, 2 and 3 during every spin. The x2 Multiplier Wild will be very rewarding as it’ll reward you with double your total wins. The Spreading Wild true to its name will spread across 3 reels which guarantees a win. The most rewarding of the Wild features is the Expanding Wild. The wild will expand to cover the whole reel it lands on. Players who’ve been touched by Lady Luck can even score up to 3 expanding wilds in one spin. Most of your wins will definitely come from this lucrative feature. And if you happen to score 3 additional scatters during your bonus games it will retrigger the feature. Since the beginning of time people have been captivated by tales of cowboys and crooks. 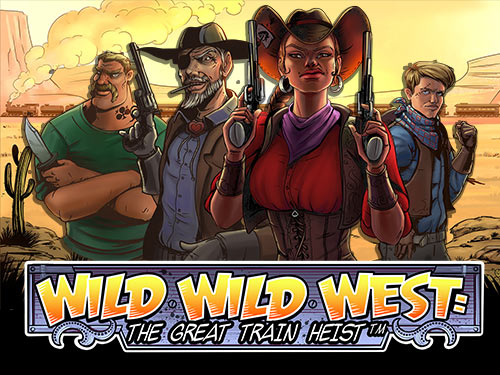 With its cowboy theme, Wild Wild West: The Great Train Heist allows players to be part of the action. The slot theme is quite popular and has been used by various gaming providers over the years. From simplistic video slots like The Saloon to more modern video slots like this one. It is a theme that lures players as everyone had a childhood where they once participated in a little game known as Cowboys and Crooks. Furthermore the theme has remained popular due to blockbuster movies like Once Upon a Time in The West, Wild Wild West and Django Unchained. Everyone loves a cowboy and in this slot they get to be one, a slightly crooked one. If the Western / Cowboy theme is a bit too much you can always opt for something a little simpler. Yggdrasil has a Jokerizer slot series that’ll put a smile on your face and cash in your pocket. The slots series tells the story of how the young Jokerizer got to be part of the Wicked Circus. With the action packed Wild Wild West: The Great Train Heist Video Slot, there’s no chance you’d want to miss out. Thankfully, NetENT created this video slot using HTML5 software, making it playable on all mobile and tablet devices. The superb visuals and dramatic music will set the mood for an unparalleled adventure. There is very little difference between the desktop and mobile version. The buttons have been moved to create a more pleasant gaming experience. Don’t forget to make sure that you have a stable internet connection. Tears will be shed and money will be lost if you happen to lose signal mid adventure. Whether you are at home, work or on your way to an event you’ll be able to enjoy a few rewarding spins. 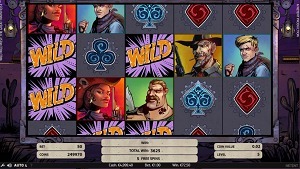 Wild Wild West: The Great Train Heist is another perfectly executed slot released by NetENT. The visuals, sounds and gameplay combined ensures a spectacular gaming experience. There’s no time to waste so crack your whip, fire the six shooter and giddy up! 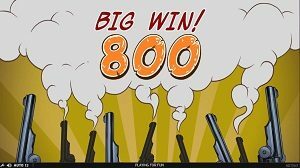 Big wins of up to 500 times your stake awaits!